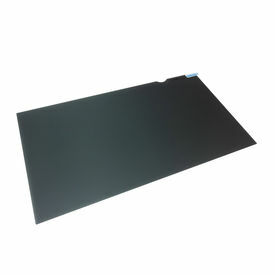 Buy Clublaptop 10.1 inch Laptop Privacy Filter online - Clublaptop - The largest online store by Manufacturer of Laptop Accessories and Spares. Clublaptop Laptop Privacy Filter is designed professionally to keep your laptop screen scratch free and help protect your confidential information from prying eyes without compromising on display. CL laptop privacy filter also acts as an anti-glare and protects your eyes from ultraviolet rays. Individuals within 30 degree angle of the screen can see the screen clearly but anyone outside the viewing area will not be able to see the information displayed on the screen. This is ideal while you are in office or public areas including coffee shops, airplanes, waiting rooms and public transportation. Product Code LPS CL 10.1"